danger garden: What’s a girl to do? It’s raining, again. I have things to do outside in the garden but I am trapped indoors, again. As if that weren’t bad enough I can’t leave the house because we have an electrician here working. And to add insult to injury…our internet service is down. No gardening, no leaving, and no online activities. 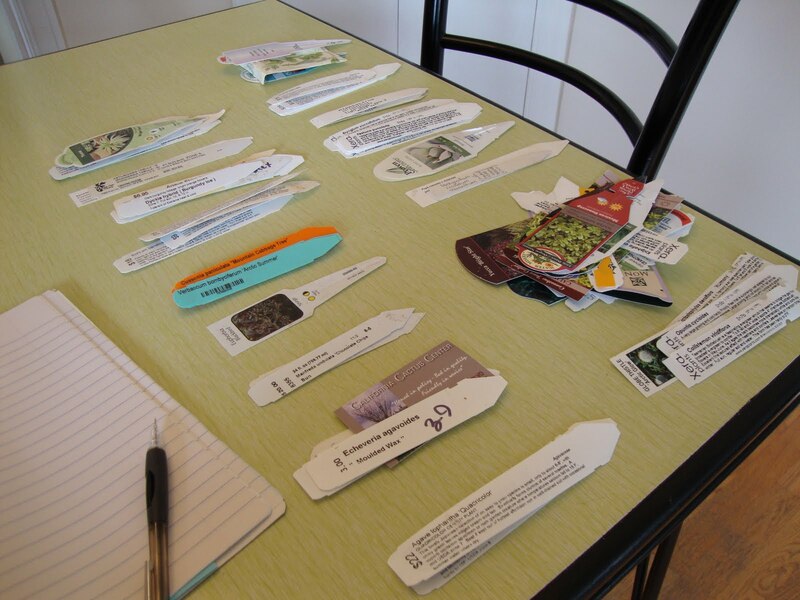 Well, I guess it’s time to organize the plant tags I’ve been accumulating for about 9 months. That will kind of be like I’m gardening, sort of. When it comes to plant tags I am so old school it’s a little embarrassing. I even use masking tape! They get taped on the page and notes are made as to where they ended up. Unfortunately sometimes another note (dead) gets scrawled under the first. 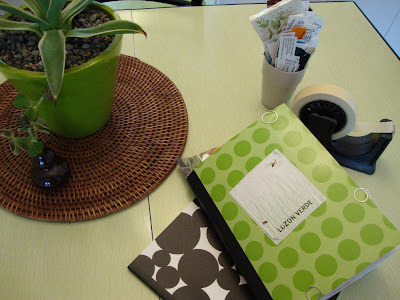 The green polka dot notebook I’ve been using for years is almost full. Next I move on to this fun notebook! ‘Practicing Plant Parent Hood’…made from an old book cover that I saw online and turned into a label for a blank notebook. It makes me smile every time I see it. How did I get so behind in my tag filing!? To start I sorted the tags into related piles. Things that were bought together (Hardy Plant Society sale for instance), or if that failed, things that ended up planted near each other. So many piles. Try not to look at the prices…I certainly tried not to. Later yesterday afternoon, after the internet service was back up, the electrician left, and it stopped raining long enough for me to venture outside for a little look-see in the garden this is what I found. A soggy Madagascar Palm, broken in two from the unbearable weight of all the water it has soaked up. I picked up the top half and brought it indoors. I don’t know why. It just seemed like the right thing to do. I hope this is the one and only danger garden casualty of May 2010. 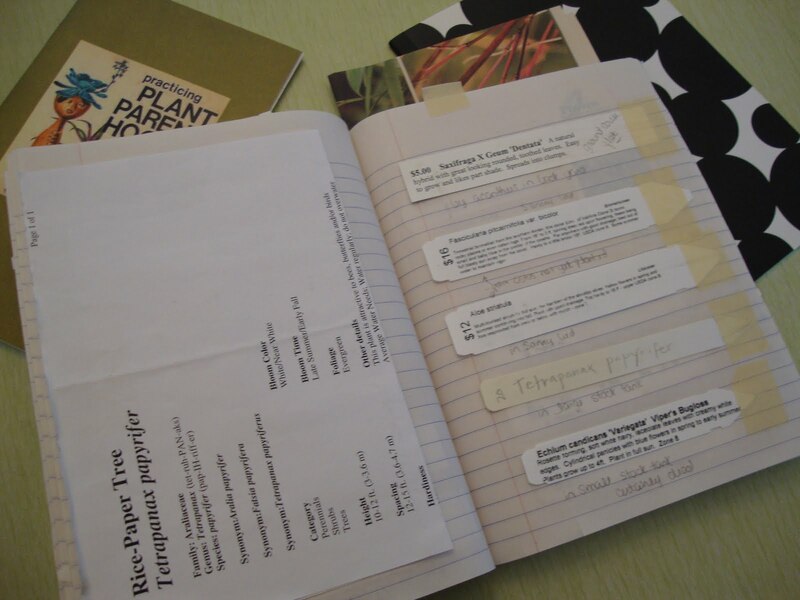 I like your notebook plant tag system -much nicer than my zip lock bag, and more attractive and practical . I normally love the rain. This frequency has been a bit much hasn't it? 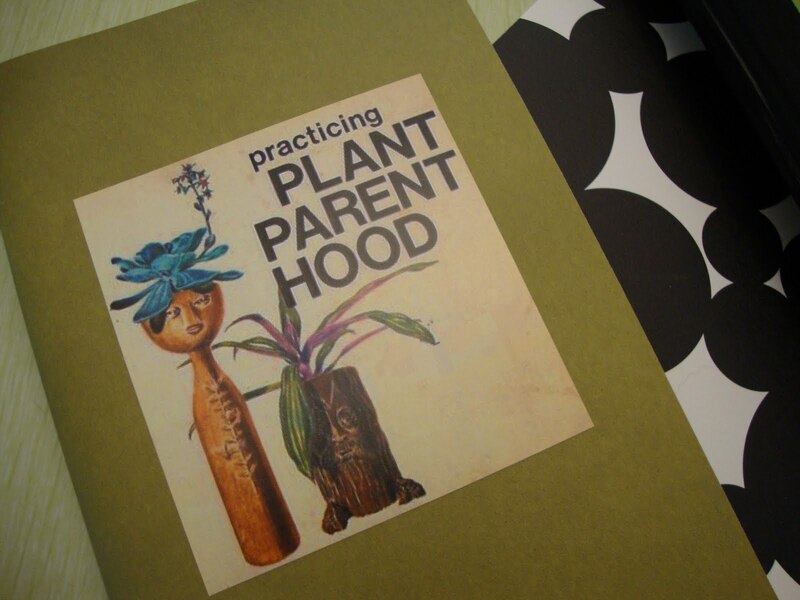 I love your Plant Parenthood notebook. Hilarius! If you're old school, then I'm byzantine: my plant records/tags are shoved into a red-rope folder I have to sort through every time I need to check one. Your system has great merit, I think. So sorry about your Madagascar palm. Will it recover from the base? If the rains don't stop soon, my whole garden will be a casualty of May as it washes down the street. My goodness, you are very organised with yr tags! I have to get my plant tags together too. My maps are all very incomplete and it is driving me crazy that I can not name the plants in my garden! Thank goodness for Google Images! As long as I know a few things about it, I can usually figure it out using that. So sorry about your palm. Will this mean the death of the plant or can it recover? Anywho, I absolutely love that book cover! I had no idea that that book ever existed! Sorry about your Madagascar palm... Taking it inside does seem to be a nice gesture. Very cool. I saved a bunch of the little ID stick things and keep meaning to put them in the computer. A book might be faster and easier. Bummer about the casualty, Loree. Maybe that appendage will root...? I staple my tags to 3x5 index cards and file them. But first I add them to my [shamefully 12 paged] Word doc. list. This way I can get the names quickly when I'm writing. I jot down where and when I got the plant but NOT the price. Ever. I'm behind too. This evening's weather was, amazingly half way decent. The rain seems to have had a positive effect on the plants, size wise. Trees and shrubs are HUGE. On the downside, the roses are riddled with blackspot. Dear God I hope that weatherman is WRONG! I loathe hot summers. I definitely use those days I can be a complete lazy slouth(slug/sloth) and watch movies. But maybe I should start organizing my plant. 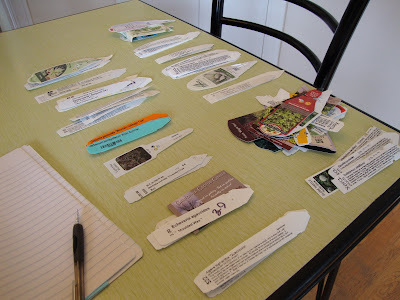 For the longest time I never kept plant tags, because I moved so often, and what I didn't leave behind I killed. But now that I am a big girl gardener I think that I probably get my organization on my next rainy day weekend. Good grief...my plant tags are thrown nicely in a basket, lol. You are way organized! Dropped by from Noelle's. You have some very interesting posts on your blog, yes, I have been nosing around here. I too use a notebook. I draw sketches and put the plant names, and where i got them next to them. These usually end up quite messy (since i can't really draw) and i'm sure i am the only one who can decipher them in the end. I leave my plant tags in the garden. I don't know, must be old age, but there are times i can't remember the botanical names, and it's nice to have a handy reference. But i do like your system. I usually buy more than one of the same plant and toss the duplicates. I'm definitely ripping off this idea! Thanks. linda, if the zip log bag works for you that's all that matters. Laura, yes! A little rain 'sprinkled' here and there is a good thing. This is a bit extreme. MulchMaid, thanks! I imagined that everyone else had a fabulous online system going. It's nice to hear that I'm not totally behind the times in that regard. Sylvana, there is a baby attached, I am going to try and rescue the baby so it could live on that way. Rainforest Gardener, I did an Amazon search for the book and you can own it for the bargain price of 1 cent! Tempting. MT Julie, faster I don't know about but I appreciate being able to look at the actual tag...and not having to turn on the computer. Grace, maybe...the end is pretty rotted. Maybe I'll email the guys at Cactus Jungle and see if they have any ideas. Your system seems SUPER organized! Jessica, now there's an idea (movies)...I never think of that. Darla, hi! I'm gonna have to go nose around your blog too! gh1, rip away! And as long as you can decipher that's all that's needed right? I've never been a fan of the in the garden method...I'm way too much of a neat freak (not a great quality), but nothing beats it for having the name near! The silver lining for me is that I don't have to water all the new garden additions. Especially those in the neighbor's yard. I bet I saved a ton on the water bill. But if it's a hot summer, the savings are blow. I really hope that part is wrong. At least we have a dry weekend in store?